Welcome to the team Luke! 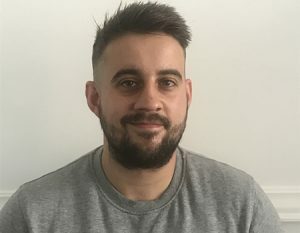 We’re delighted to welcome a new member of the Titus Learning team – Luke Tillotson – who brings the benefits of 8 years of experience within e-learning to the company. Here, he gives us some background on his work in the educational technology field so far, and how he sees the sector developing in future, as well as an insight into his interests outside of the business. Upon leaving University, I started working in the educational technology arena in 2009. This mainly involved working with secondary schools/academies on VLE implementation and development. In 2014 I moved to head up an education team which was less focused on software, more on hardware and onsite support. This gave me a good overview of the challenges schools face in procuring and then managing the hardware they use in school. I love to see solutions shaped to fit specific needs. When you’re working with something as powerful as Moodle it’s fascinating to see how it can be moulded and customised to suit schools’ individual requirements. Whilst schools and colleges will have similarities, each is very unique in its own way and each will have a different expectation of what Moodle can bring. The ability to have a real impact on a company that is close to my heart. Rather than being ‘just a number’ in a larger team, I feel I can make a real difference here with my experience and knowledge. Working internationally. The majority of my work so far has been UK based, which I love. However, the option to work and travel internationally was one which appealed to me on a number of levels. With Titus Learning’s extensive client base I’m looking forward to the opportunity to meet educators across the globe. What do you think has been the biggest shift in educational technology during your 8 years in the sector? I would suggest one of the biggest changes or shifts has been integrating learning platforms with other applications such as MIS systems, office software, payment systems, etc. Having a genuine ‘one stop shop’ for all things related to learning and development is now a viable option, and allows much more involvement from students and parents alike. The increasing ease of creating and manipulating course content will see an upturn in growth. Teachers have less and less free time to work on high quality courses, so using technology to remove some of the barriers and handle simple administration tasks allows them to focus their efforts where they make the most impact. The emergence of tools such as H5P will continue and bring further success to online learning. I’m a season ticket holder at Bradford City (so it’s nice to be based a few minutes down the road from Valley Parade). Love socialising with friends and my wife. I’m quite a foodie – but luckily I’m regularly at the gym, or walking my best mate Ralph the whippet, which keeps me in shape. You could also say I’m a semi-professional best man – this year I’ve been awarded the mantle for the third time, so I’m currently busy planning a trip to Budapest and working on (another) speech.